Irak’ın kuzeyindeki Kerkük kentinde yaşayan Türkmen gençler, kentteki kurumlara dengeli ve eşit atama yapılmasını istedi. Kerkük’te yaşayan etnik guruplar arasında kentteki kurumlara eşit atama yapılmasını isteyenüniversitemezunu Türkmen gençler, Kerkük Valiliğine yürüdü. ‘Hakkımızı istiyoruz’ sloganları ile valiliğe yürüyen çok sayıda öğrenciyi, Kerkük Türkmen İl Meclis Üyeleri karşıladı. Kerkük Türkmen İl Meclis üyelerine isteklerini anlatan öğrenciler, kentte eşit ve dengeli atama yapılması istediklerini belirtti. Aksi taktirde bu protestoların daha da büyütülerek, tepki vermeye devam edeceklerine dikkat çektiler. Yürüyüşle ile ilgili açıklama yapan Öğrenci Birliği Başkanı Kahtan Efendioğlu, Kerkük valiliği tarafından isteklerinin kabul edilmemesi durumunda bu protestolara devam ederek, seslerini duyurmaya devam edeceklerini belirtti. Kerkük Türkmen İl Meclisi üyesi Ali Mehdi ise kentte eşit atama yapılması için dört karar olduğuna dikkat çekerek, yetkililerin bu kararlara uymasını istedi. Bazı kurumların atamalarda eşit davranmadığını belirten Mehdi, Türkmen gençlerin haklarını anayasal çerçeveye dayanarak savunup takip edeceklerini de kaydetti. Yürüyüşe katılan Ammar Suud isimli genç ise kendilerinin sadece eşit atama istediklerini ve kenti idare eden yetkilileri tarafsız olmaya davet ettiklerini söyledi. Gurup isteklerini belirten dilekçeyi Kerkük Türkmen İl Meclisi üyelerine verdikten sonra sessizce valilik binası önünde dağıldı. SULAIMANI, Iraqi Kurdistan: Ten thousand members of the Kurdish peshmerga forces have been sent to Baghdad to protect Jalal Talabani – the Kurdish president of Iraq – and all other Kurdish officials there from the possibility of a military coup, says a senior official from the Patriotic Union of Kurdistan (PUK), one of Iraqi Kurdistan’s two ruling parties. This is the first time since 2003 that a top Kurdish official has acknowledged the threat to Kurdish politicians of a military coup in Baghdad. Mala Bakhteyar, a senior member of the PUK’s political bureau, said in an interview with Kurdish television channel Gale Kurdistan that the PUK had prepared for the “worst case scenario,” including military coups. From the eastern side of the Atlantic, it’s easy to pin all the world’s ills on the United States. Other Western countries may have perpetrated their share of imperialistic crimes but since World War II, Washington’s global might has meant that other nations’ evils can often be chalked up as following-the-leader, willingly or otherwise. David Cronin’s immensely valuable new book, Europe’s Alliance with Israel: Aiding the Occupation, does not entirely reject this position. But in charting how the European Union (EU) and its member states back Israel, Cronin dispels the idea that the US is the only game in town (and that those of us who aren’t resident there can therefore change nothing), while also offering activists new targets for institutional lobbying and boycotts. 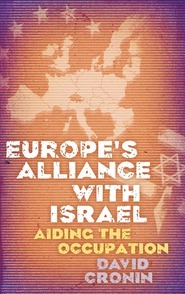 The bulk of Europe’s Alliance with Israel is a meticulous documentation of the ways in which a variety of institutions — the European Union (and its major constituent bodies, the European Parliament, the European Council, the Council of Ministers and the European Commission), North American Treaty Organization (NATO) and various European states — have, despite superficial commitments to the “peace process,” consistently sold out Palestinian rights and interests. And the list is a long one. Cronin starts by cataloging European toleration of Israeli human rights abuses and infringements of international law. He cites the fact that just five EU states (Ireland, Cyprus, Portugal, Malta and Slovenia) supported the UN General Assembly acceptance of the Goldstone Report into war crimes in Gaza, with the remaining 22 opposing or abstaining. This is contrasted with the strong EU positions taken on, for example, the Georgia-Russia conflict of summer 2008, controversies over the treatment of civilians by the Sri Lanka government during its offensive against the Tamil Tigers in spring 2009, or attacks on ethnic Albanians in Kosovo. Cronin’s background and experience as a journalist covering European affairs is evident in these and other details. The direct quotes from senior — often anonymous — sources and access to obscure or confidential correspondence and reports demonstrate his exhaustive knowledge of the famously Byzantine workings of the EU’s institutions. Cronin examines Israel’s progressive integration into the EU’s scientific research and development programs, and the collaboration of EU researchers with Israeli arms manufacturers. He notes that Israel was the first country outside the EU to be brought into its research funding programs and cites the huge sums involved — 204 million euros during the 2002-2006 finance round and possibly over half a billion euros in 2007-2013. 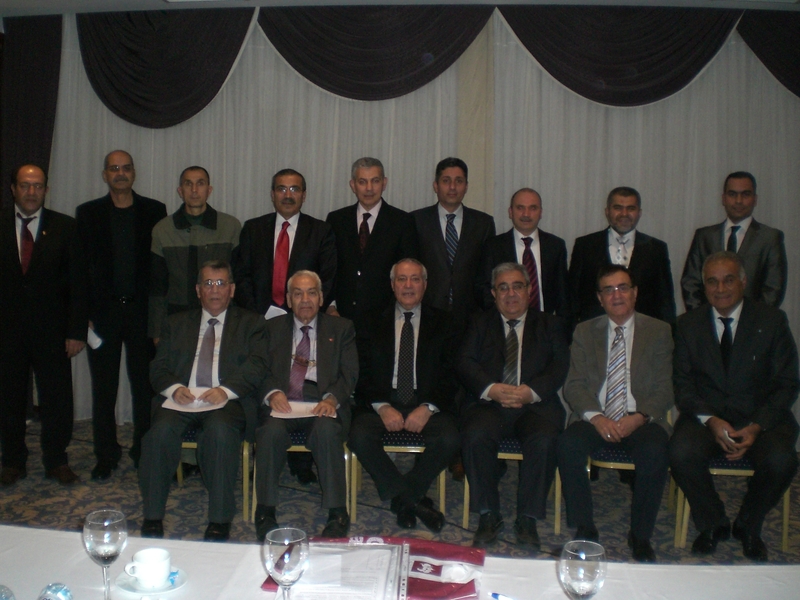 Until recently, the Iraqi Turkmen have been a community “far” from being seen yet constantly on the agenda of Turkey. The Iraqi Turkmen are a community which has been constantly on the agenda of Turkey until recently, yet now seems to be quite “far” away. 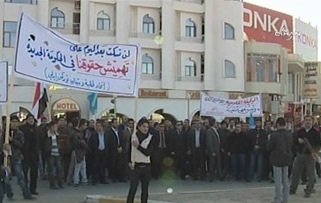 There are various opinions on the number of Turkmen residing in Iraq. However, when looking at the results laid down by the last two elections, it can be said that the numbers of the official thesis alleged by Turkey in the past have not been quite realistic. We have no argument with figures, however if a rough estimate were to be made, it seems that the number of the Turkmen population living in the region is way over one million. In the past, the Turkmen have always been at the focal point of the politics dealing with Iraq. However, rather than becoming stronger actors, this situation made them grow weaker by the day. Hicran Kazancı represents the younger generation of the Turkmen Front. He started his post as Ankara representative a few months ago. We had an intimate interview with him in the Ankara office of the Front. If I were to say that I was not surprised to meet a portrait not hesitating to criticize the mistakes made in the past and Turkey, a courageous man with a vision, I would be telling an untruth. The reason for this is that until now, the names which have been representing the Turkmen Front and the policies of the Front in general have not gone beyond empty rhetoric and an emotional bond with Ankara. There is no doubt that the parenthesis of this reply contains plenty and in a way it summarizes the mistakes of Ankara regarding Turkmen. The price of seeing the Turkmen as a unique element has not only been high for Turkey but for them as well. In addition to not being able to establish a healthy relationship with the Iraqi central government, they also had difficulties finding a place for themselves in the changing balances after the occupation. The policies which left out the Iraqi Kurds and expelled the Turkmen outside the system and which were continued persistently until 2005 also weakened Ankara’s hand. It is fortunate that the application of these mistakes was forsaken towards the end of 2005 and it was decided to adopt a state policy of entering into dialogue with all the elements living the region. As a result these issues were discussed in the National Security Board meetings of 2006 and 2007 and stated in the final declarations. This viewpoint seemed very sound and striking to me. It gives hope for the future. Turkish Prime Minister Recep Tayyip Erdoğan and Foreign Minister Ahmet Davutoğlu will make critical visits to Iraq in January. Davutoğlu will travel to Iraq prior to Erdoğan and will visit Baghdad, Kirkuk and Karbala cities. A new government was formed in Iraq last week nine months after the general elections. DAMASCUS, 28 December 2010 (IRIN) – Hundreds of thousands of Iraqis fled the country after sectarian violence broke out following the 2003 war which toppled Saddam Hussein. However, the precise number of refugees is hard to ascertain and fluctuates in line with changing perceptions and the security situation in Iraq. In this gloomy picture, the archbishop of Kirkuk, wants to talk about hope. “As long as we get back to each other: Arabs, Kurds and Turkmen, Muslims and Christians, we resist and we stay, because Iraq without us loses its beautiful multi-identity. We remain because are committed to love and to return to each other. This is the road to resurrection, life and renewal”. Kirkuk (AsiaNews / Agencies) – A Christmas of fear and sadness for Iraqi Christians, in memory of the martyrs killed Oct. 31 in the Syrian Catholic Cathedral of Our Lady of Salvation in Baghdad. Many masses were called off across the country, and security measures heightened. But in the midst of this also the determination expressed in a message also sent to AsiaNews by Archbishop Louis Sako of Kirkuk. According to Middle East Concern, the celebrations were cancelled as a result of threats posted on Web sites of Islamic groups. “The decision was taken after the threats were repeated on Tuesday, December 22. The churches in Baghdad, Mosul and Kirkuk have decided not to put up Christmas decorations and called off ceremonies after dark”. Prime Minister Nouri al-Maliki has called on Christians not to leave Iraq. “Attempts to keep Christians away from their homeland and their land, which clung to them through the centuries, is a great crime against national unity,” al-Maliki said in a statement marking the Christmas holiday. But many churches in Mosul did not hold celebrations while in Basra the roads leading to churches were cordoned off with barbed wire, and the buildings were surrounded by security forces. Archbishop Sako recalled Oct. 31: ” We live in Iraq today, a painful experience, culminating in the massacre of Our Lady of Deliverance, which have shocked Christians and Muslims together, but we are determined to withstand the ordeal. We will not give in to temptation and frustration because life is a gift from God and it is greater than the hands of evil can destroy it”. The Archbishop of Kirkuk concluded his message with an appeal for peace: “Peace is the base of all goods: we ask it in prayer and implement it with mutual love and solidarity. Then the miracle happens and we will have peace on earth for human beings and the glory of God in the highest. We both believe that God is the Lord of the impossible”. Türkiye’de faaliyet gösteren ve mücadele eden dernek, vakıf, birlik, oda, sosyal, spor, sanat ve fikir kulüpleri adı altında Irak Türkmenlerinin sahip olduğu bütün sivil toplum kuruluşları, 23 Aralık 2010 Perşembe günü Keçiören Belediyesi tarafından yaptırılan ve Türkiye Cumhuriyeti Cumhurbaşkanlığının himayesi altında gerçekleştirilen Kerkük Parkında Irak Türkmen Şehitleri Anıtının açılışı görkemli biçimde yapılmıştır. Bu anlamlı tören münasebetiyle Ankara’da bulunan Irak Türkmenleri Sivil Toplum kuruluşlarının temsilcileri bir araya gelerek 2 günlük toplantı yapmışlar ve bütün Türkmen toplumunun tek yürek ve tek ses olarak Türkiye’de kamuoyuna birlik ve beraberlik mesajı vermeyi oy birliği ile dile getirmeyi uygun görmüşlerdir. Bu vesileyle Irak Türkmenlerinin ana temel hedeflerinin gerçekleşmesine ivme kazandırmak, dayanışma birliğine inanarak Türkmenlerin tarihini, kültürünü, sanatını, folklorunu, edebiyatını, aile birliğini ve Türkmen toplumunun yararına ne gerektiriyorsa örgütlenip Türkiye, Irak ve bütün dünyada girişimlerde bulunmak düşüncesiyle, tüm kuruluşlar arasında söylem birliği, dayanışma ve yardımlaşma, her alanda etkin bir yapı sağlamak için bir Türkmeneli Federasyon çatısı altında toplanmaya karar vermişlerdir.